Cynthia Torres, Asociación de Trabajadores del Campo de Nicaragua (ATC, Vía Campesina). 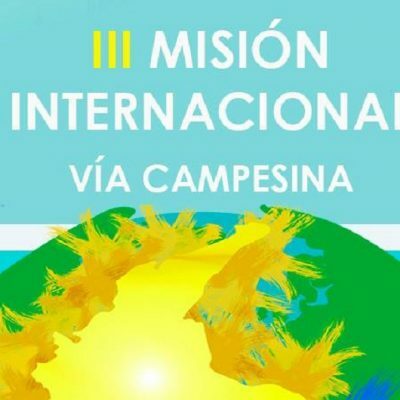 With an opening press conference, a meeting with members of Congress at the National Parliament Building and a meeting with social organizations, Vía Campesina´s 3rd International Mission to Colombia was launched. The goal? To verify compliance with the Peace Accords signed in 2016 by the government (then led by Juan Manuel Santos) and the Revolutionary Armed Forces of Colombia (FARC, today a legal political party). The activities of Vía Campesina´s 3rd Mission to Colombia are centered in the capital of the country, Bogota, but on Saturday and Sunday there were visits to different territories: Sumapaz municipality and Tolima and Cauca departments. 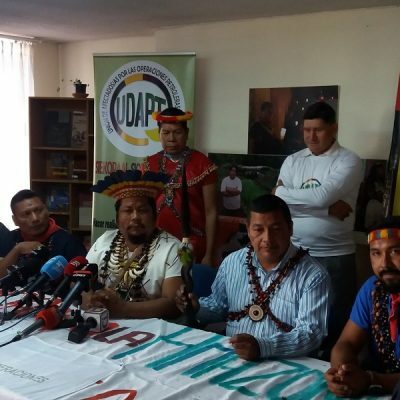 In Cauca there has been an indigenous, peasant, student and black communities “minga” taking place for 20 days. They are mobilizing to demand compliance with the Accords and for them to be taken into account in the National Development Plan (which will define the government policy of President Ivan Duque), among other issues. The 3rd International Mission of Vía Campesina to Colombia was launched amid this national context. “The mission is taking place in an important moment, because the country is discussing the National Development Plan and we want to see the government´s commitment with reference to the implementation of the Peace Accords and what the peasant, indigenous and black movement thinks about this plan”, said leader Nury Martínez, of FENSUAGRO and Vía Campesina Colombia. 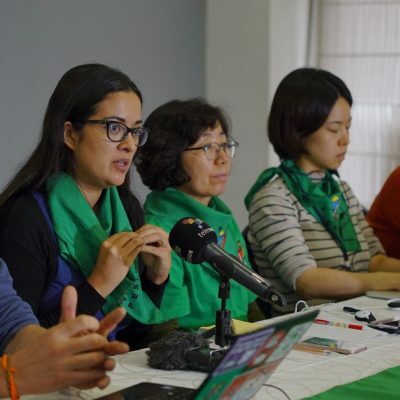 During the opening press conference, Martínez, who is also member of the political coordination of Vía Campesina South America, highlighted the compliance of points 1 and 4 of the Peace Accords related to “Integral Rural Reform” and the replacement of illegal crops, respectively. Nevertheless, Martínez said that the indigenous movement seeks compliance of all agreements. La Vía Campesina is one of the organizations that are acting as guarantors of the peace process at the request of the Colombian government and FARC in terms of the first point. K’iche’ Mayan indigenous Feliciana Macario, of the National Coordination of Widows of Guatemala (CONAVIGUA) and Vía Campesina Central America said during the press conference that she travelled to Colombia “to monitor the fulfillment of the Peace Accords, to see if the expectations of peasants are being met”. “The Accords were signed for the people to be included, for equality”, she said. Meanwhile, leader Rosa Lemos, of Dominican Republic and the Confederation of Social and Popular Organizations of the Southern Region (El Retoño) said that “it seems that there is no will to comply with the Peace Accords”. “We demand that the Accords are complied with, especially points 1 and 4, and that the right to life is respected. This is one of the fundamental goals of this mission”, she added. The mission is made up by almost 20 delegates from several Latin American, European, Asian and African countries. Among them, Federico Pacheco, of Spain, representative of Vía Campesina Europe. “A year and a half ago we were here (for the 2nd mission) and we left quite concerned. Now we are even more concerned, especially due to the criminalization of social leaders in general”, said the leader. “We come from Europe to dialogue and listen to all parties involved, to be able to give a firsthand account of what is happening. 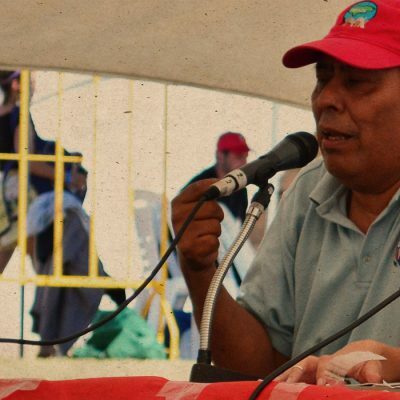 We reaffirm our commitment for peace and peasant rights”, added Pacheco. “The European Union needs to take all the necessary measures for the Havana Accords to be fulfilled”, he said, making reference to the Cuban city where most of the negotiations between the Colombian government and FARC took place. The press conference was closed by one of the allied organizations present in the mission: ALBA Movimientos. 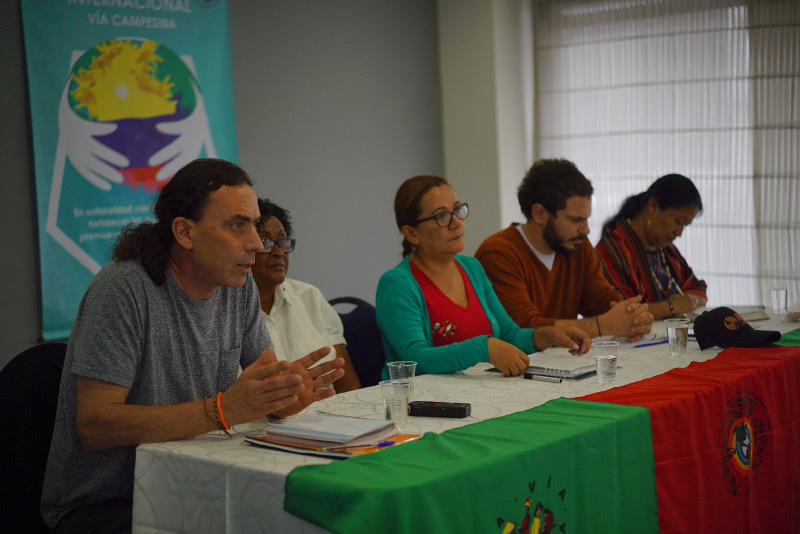 Gonzalo Armúa is member of the continental operational secretariat of ALBA Movimientos and he said: “we are worried about the criminalization of social leaders in Colombia, the murder of leaders from the countryside and the city”. “And we are particularly worried about the fact that these murders are not being recognized by the State, which is supposed to ensure life”, he concluded.